Marissa Nadler – "No Surprises"
Having actually sat down with OKX, Stereogum’s tribute to Radiohead’s OK Computer, it was a cooler idea in theory than in practice. 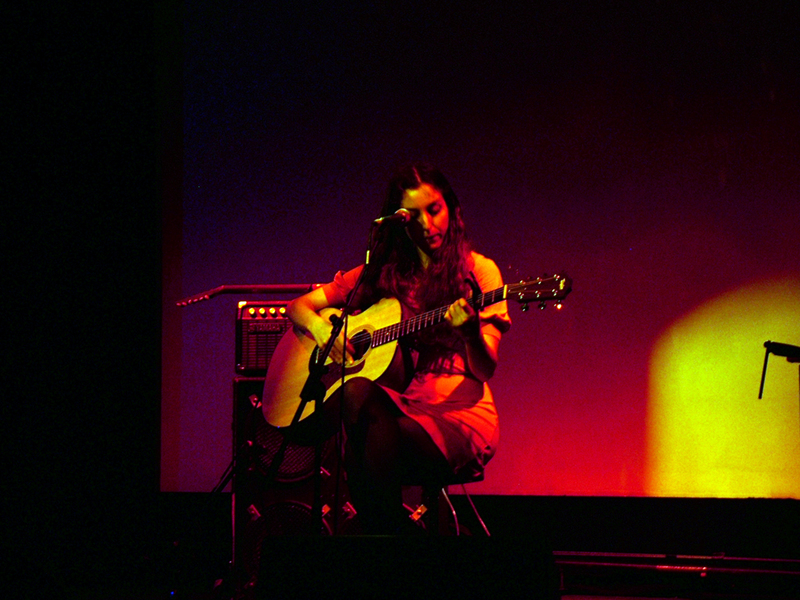 Radiohead’s a pretty difficult band to cover, obviously, but one of these versions sticks out – namely, Marissa Nadler’s acoustic version of “No Surprises.” Like everything she’s ever done, it’s frail and haunting, as dry and fragile as the last autumn leaf. Nothing’s ever going to be as great as hearing Thom Yorke sing it, but Nadler captures the song’s sense of crumpled exhaustion far better than anyone could’ve expected. Bonus: Watch Iron & Wine cover the song at last weekend’s Pitchfork Festival over at You Ain’t No Picasso. Looking for new music? Click below for more recent and upcoming releases or visit our Album Release Calendar.